A small project that should have a big effect was done this fall near the bridge that connects the north and south basins. The work was don just to the west of Sabattus Island, midway across the causeway. A sandy, eroded area that has been used as a foot path and also as an old boat launch for canoes and kayaks, was greatly improved. 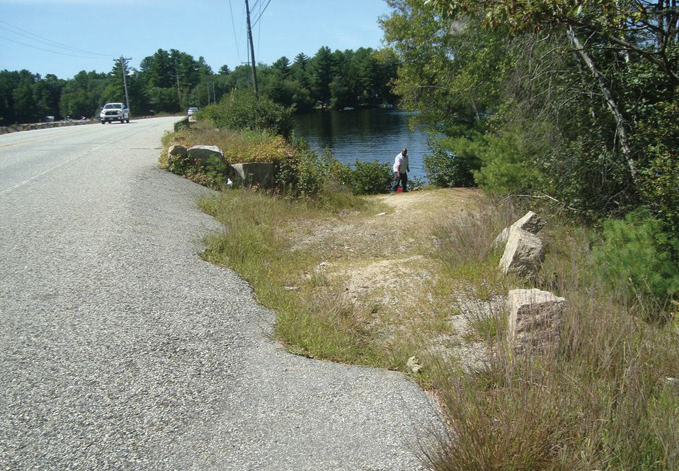 In early September, the Maine Department of Transportation partnered with the Cumberland County Soil and Water District to repair the site. 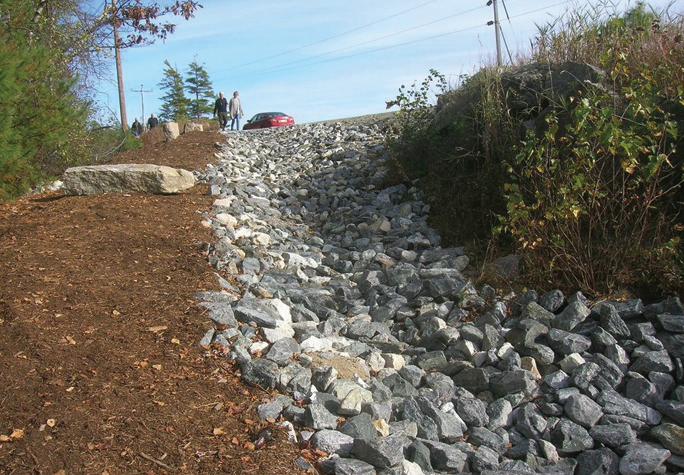 The installed rip rap, sediment traps and erosion control mulch to improve this area where water had previously been channeling sediment towards the lake. The approach is still accessible to pedestrians, but is no longer navigable for vehicles. In the future, in conjunction with some work planned for the bridge there, a guardrail will be installed here, said John Maclaine, DOT Environmental Coordinator for Region 1. The DOT will maintain the sediment traps. 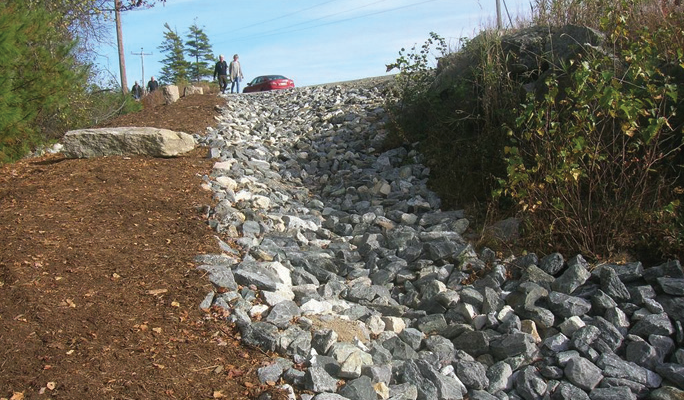 The project about $3,500, Maclaine said, paid for by the DOT, and the CCSWD chipped in the erosion control mulch. Heather True of the CCSWD said that in time, as the erosion control mulch leaks down, it will create some orgnic matter and some natural vegetation my grow.